Steel grating is one of our most versatile products as it has an array of uses for both home and industrial use in factories. 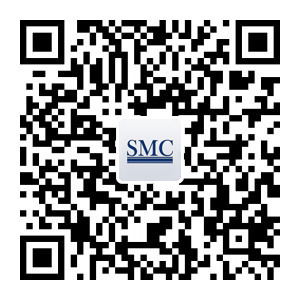 As a leading manufacturer and supplier of metal products in China, SMC is precise in meeting all the needs of suppliers for any kind of metal products. Our Steel grating comes in different forms, it can be the compound steel grating which works well as a seal for floor edges, stair cases, and making safe walkways; or the more regular, fence-like steel grating. Steel grating can be conveniently used in factories and other heavy duty industries, as it creates a safe walkway where people can see what’s below them, such another segment of their factory production line. It also works well as a drainage cover, as it allows easy access to the drainage system, thereby enabling easy access for maintenance purposes. It’s often used in this way in hospitals, shopping malls, water treatment plants etc. This product also works well as a carriage way or walkway in airports, courtyards, as it is easily stacked and placed into position. Pedestrians can be rest assured of walking on a safe side walk made from steel grating! 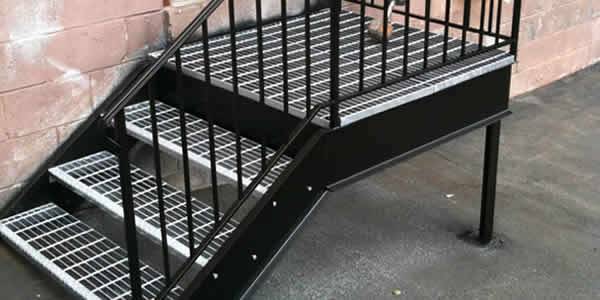 For your homes, restaurants and workshops with a edgy look, you can use steel grating to construct your unique stair case, which will greatly save you lots of time and energy as it is easy to set-up. To enable better security, and aeration in your warehouses, steel grating, with this large spacing, helps to ensure easy visibility of goods. For your unique fencing in the home or garden, steel grating offers this less rigid, see-through barrier! Contact us for an inquiry or visit our main website for more product details. All the buzz around Apple’s newest iPhone6 may not be that of a success. 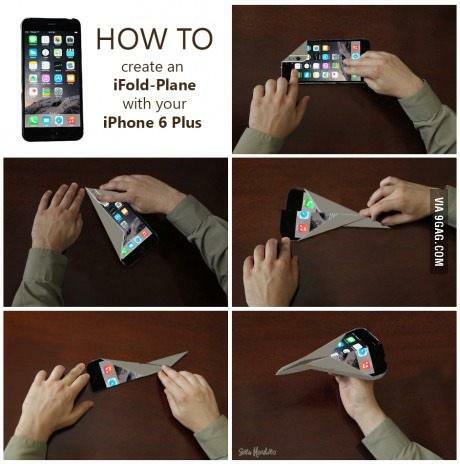 Not even its 10 million iPhone 6 and 6 Plus models sold in three days after the phones went on sale. 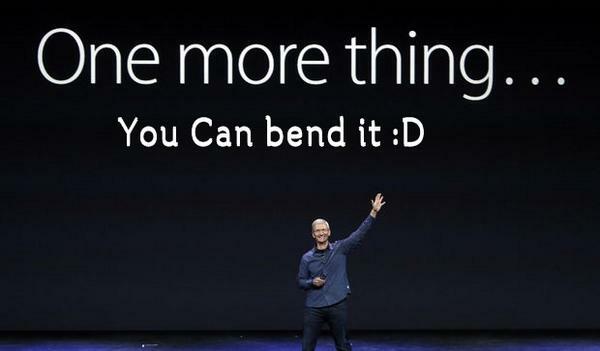 Rather, it seems like the new ‘bendable’ iPhone6 is even a hotter hit, going viral on social media as hashtag #BendGate. Not only a rumor but proved by a number of pictures published on the world web, the new iPhone6 and iPhone6 Plus easily bend when carried in owners’ pockets for long periods of time. Others claimed the flexibility of the new phone while having more active lifestyle and dancing. The question whether this affects all the devices or if it is limited to a small number of phones is still unclear, and Apple has not yet pronounced. Last year there were similar cases involving iPhone 5, the Samsung Galaxy S4, the HTC EVO, and many others, but this is actually the first time the bending issue has become an “epidemic”. Ironically, the reports claiming the issue came out the same day that smartphone warranty provider SquareTrade called the iPhone 6 and iPhone 6 Plus the “most durable smartphones ever”. Significantly larger and thinner than the traditional iPhone, the iPhone6 and iPhone6 Plus are encased by aluminum enclosure, which is a naturally flexible material. CNNMoney received a test model and several staffers tried and failed to change its shape using brute force. What this will mean for the future of iPhones? Well, earlier this year the US Patent and Trademark Office (USPTO) recently published Apple’s patent application which describes a new technology to be integrated with bendable displays. It talks about a new method on how to use tiny metal components in a way that prevents them from breaking when the display is bent. It might be it? For now, what remains for iPhone6 owners is to remove their iPhones from their pockets before sitting, placing them in a less tight pocket, or choose for a more resistant case that could protect the device from bending and flexing. And if you still think of acquiring an iPhone6 or iPhone6 Plus, it is available in the US, Australia, Canada, France, Germany, Hong Kong, Japan, Puerto Rico, Singapore, and the UK and it will go on sale in 20 more countries on September 26th and others by the end of the year. Shanghai Metal Corporation is a world leader in producing and supplying the best quality in aluminum that could prevent devices such as the iPhone6 and iPhone6 to easily bend. To find out more, please visit our Website or send your inquiry here. Our English speaking personnel will be more than pleased to help you. Follow us on LinkedIn, Twitter, Facebook, Instagram and don’t forget to subscribe to our YouTube channel. Or you could try our new mobile app by scanning our QR code. Looking around nearly any construction site you will almost always see scaffolding erected as an essential part of the sites day to day operations. Scaffolding serves many purposes; firstly, to protect workers from falls or provide a rail so that they can work at height with ease. 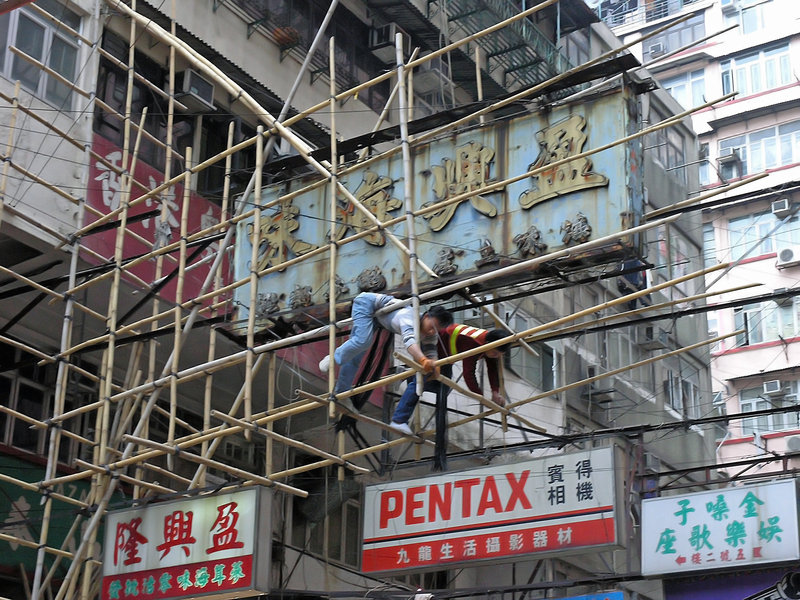 Secondly scaffolding, when in a modular fashion or along the side of a building can act as a walkway or internal ladder so that other parts of the site can be accessed. Scaffolding has been used ever since humans have been building constructions of significant height, given its necessity. In fact cave paintings that date back to over 17,000 years ago in Northern France suggest that scaffolding was used to reach the ceiling. The Ancient Egyptians and early Chinese used it to build many of their taller structures. 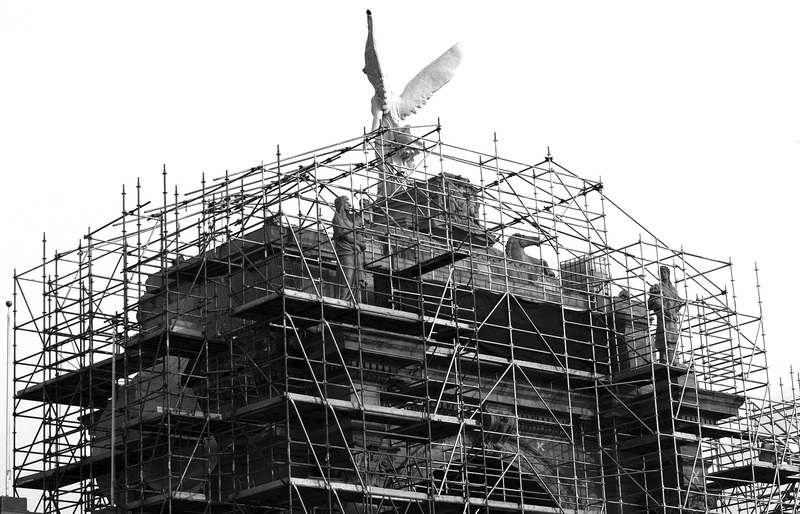 Just as changes have been made in our buildings, advances have occurred in terms of the materials used in Scaffolding, with wood and rope being the norm in days gone by, to now having metal scaffolding and fasteners being the most commonplace. However Bamboo is frequently seen in less developed parts of Asia and even the heavily developed city state of Hong Kong, as pictured below. Shanghai Metal Corporation, being a worldwide leader in the supply and manufacture of Galvanized Steel are proud to be a part of the formation of tubing that is essential in making scaffolding structures, with a particular emphasis on galvanized steel for use in outdoor applications. This product offers a rust resistance and extreme strength allowing its safe use on a construction site. To find out more about these products or to discuss customization and individual requirements please visit our website Here. For more updates on this and other exciting developments follow us on Facebook, Twitter & Linkedin. By scanning the QR code below with your Smart Phone you can connect to our app. More than ever we faced limited resources on the earth. We can think about foods, fresh water and gas reserve. Growing every year is now more and more difficult to do, especially in the raw mineral and non-renewable energy sectors. In fact we need to use a lot non-renewable energy to extract limited raw minerals at the end the cost for the planet is high and irreversible. Some metal industries are now aware about this problem and they start to find a way to limit their negative impact on the planet. 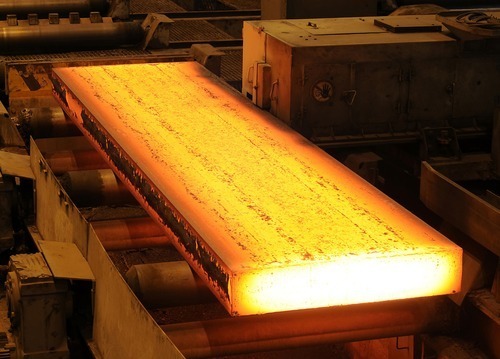 Studies already proved that we can recycle carbon steel scarp without any limit of time. Even if this resource is limited on the earth we can recast infinitely without reducing the quality of the product. Therefore, this product becoming more and more attractive in a long term views in our economy because it can be connected with several projects. So now the challenge is to rethink about how to use each scrap metal resource. In another perspective, recycle iron significantly reduced our consumption of non-renewable energy, and our CO2 emissions. Indeed, the CO2 emission is limited by the carbon steel scrap transportation to the recycling shop, the overall impact is nothing compare to the extraction process. 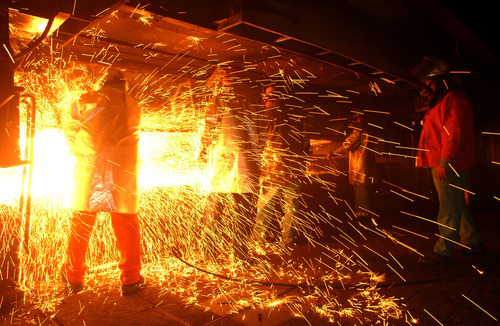 Shanghai Metal Corporation is a leader in the carbon steel material and equipment on the market with the highest quality standard and an affordable pricing. More information on our carbon steel products, visit our website here. 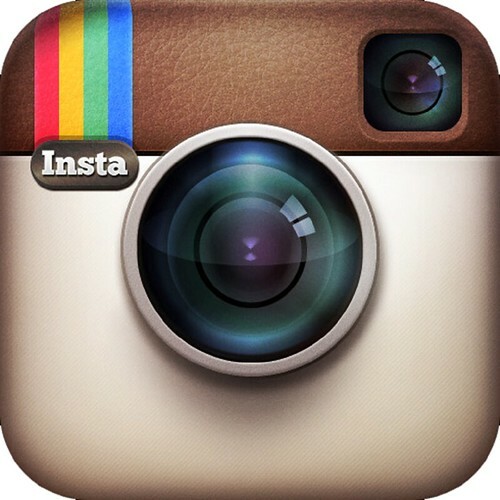 Be sure to join the conversation in our LinkedIn group, Facebook, Twitter and instagram. You can also scan the QR code below to connect with us. 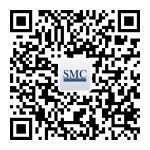 You can also find more articles by our team at SMC right below. The new pipe line way for the gas industry. Imagine waking up in the morning and seeing nothing but darkness. This is the reality for approximately 39 million people around the world who suffer from complete blindness. Recently there have been incredible scientific advances in curing blindness such as gene therapy and doctors have even managed to create a bionic eye that, through electrical stimulation of the brain, allows the patient to see. Unfortunately, these treatment options are incredibly expensive and given that 90% of the worlds blind live in low income countries they are completely unaffordable. 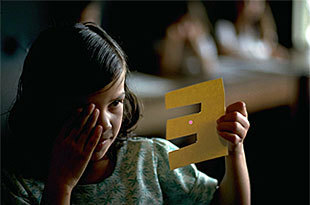 So the questions becomes how can we help the blind navigate the crowded bustling cities of the developing world? The answer lies in the paths and sidewalks themselves. Without vision ones only means of navigating their surrounding is through sound and touch. Many blind people use sticks to feel around in front of them, yet this is can be tedious and time consuming for the affected person. 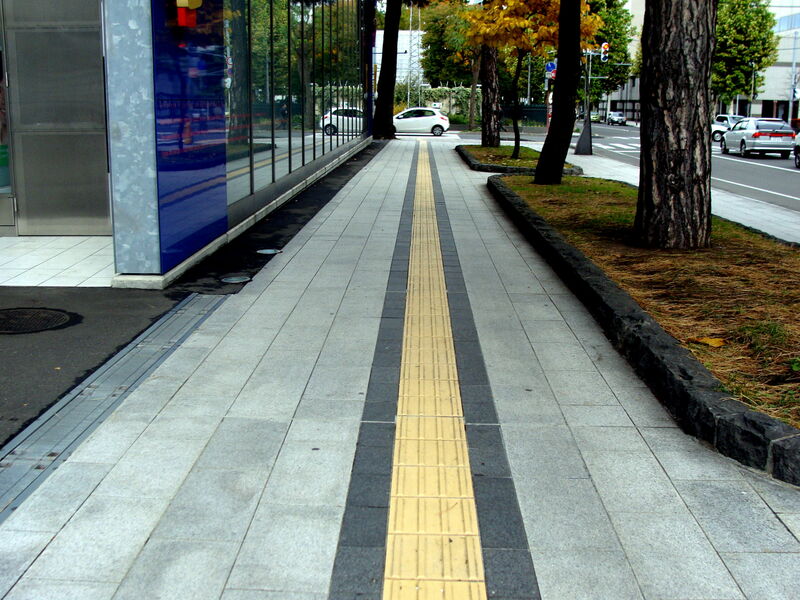 The solution lies in installing differentiated paths within the sidewalks so that they can simply walk along them and know that they are safe. Currently many cities have these paths; however, they are made out of concrete which can deteriorate as a result of too much foot traffic. Fortunately, many cities are turning towards other materials such as metals as they can survive more abuse. The best metal products for this improvement are cerro fabricated products (CFP). 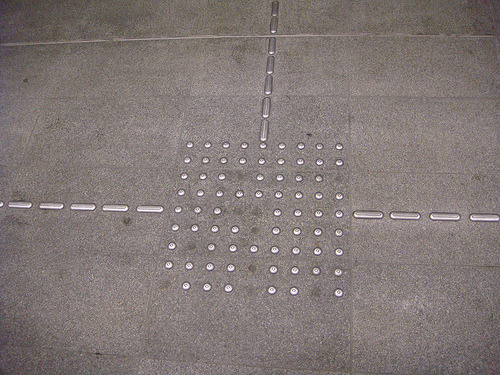 CFP products work perfectly for this task as they are durable and can be made into whatever pattern is necessary to differentiate the path from its surroundings. Shanghai Metal Corporation is committed to improving the quality of life of people the world over. We believe that blindness is a major issue in the world and we are committed to alleviating the suffering of the afflicted. CFP products are part of our commitment to improving the quality of life for people the world over. For our full list of products that we offer check out our website here. Be sure to join the conversation in our LinkedIn group, Facebook, Twitter and Instagram. Try also our new mobile application by scanning the QR code below. 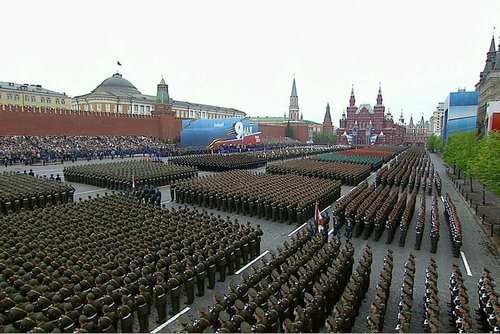 The dissolution of the Soviet Union is arguably one of the greatest geopolitical disasters of human history. It resulted in the rise of ethnic nationalism and ethnic based conflicts across Eastern Europe and Central Asia. 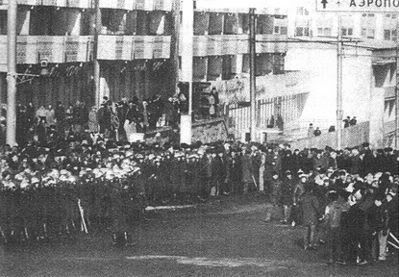 Many of the new countries had mixed Russian and local population and after centuries of repression under the Russian Empire, and later the Soviet Union, tensions were high. This is the basic history behind the current war in Ukraine. Russia is backing the anti Ukrainian forces with both financial and military aide. As a result many European Union members have levied sanctions against Russia which have the potential to hurt all parties involved. As the 6th largest exporter of steel there is a massive gap that will need to be filled and this is where China can not only make a vast amount of profit, but also improve relations with the EU. The economic recovery in the EU is fragile at best and any major shock could end the recovery and cause a recession. This is of particular concern in Europe where many nations are dependent on Russia for their raw materials and mineral resources. As many EU members want to limit their dependence on Russia, China is presented with a great opportunity to become Europe’s new de facto supplier of raw building materials. China and the EU are becoming more interdependent on each other and adding Chinese steel to the equation will only increase economic cooperation. Furthermore, as Russian sanctions begin to take affect all over Europe the governments of these regions will most certainly be grateful to any nation that helps them avoid another economic crisis. Shanghai Metal Corporation has been following the developments in Eastern Europe closely and with great concern. We take the economic health of the EU and the world as a whole very seriously. One of our main products is structural steel and it will be an honour to supply the EU if and when the need arises.